The HOYA HD Protector is a tough filter to protect your lens from damage, dirt, dust and water. A protection filter is a popular addition to someone's camera kit, as it protects the front element of the lens from scratches, dirt, water and other foreign matter, and can also make it easier to keep your lens clean, as you can simply remove the filter and clean that instead of the lens. In the days of film a Skylight or UV filter was a common addition, and often sold as a necessary accessory when shooting film, it was also used as protection of the lens. As digital cameras have been introduced, the need for a UV or Skylight filter has become less important due to cameras having their own built in UV (and infrared) filters, so a new series of clear "Protector" filters have been introduced that are designed to protect your lens but have no impact on the light passed through to your camera. Here we're looking at the HOYA HD Protector, and will compare it to a number of other filters available on the market, including a generic UV filter bought from ebay. 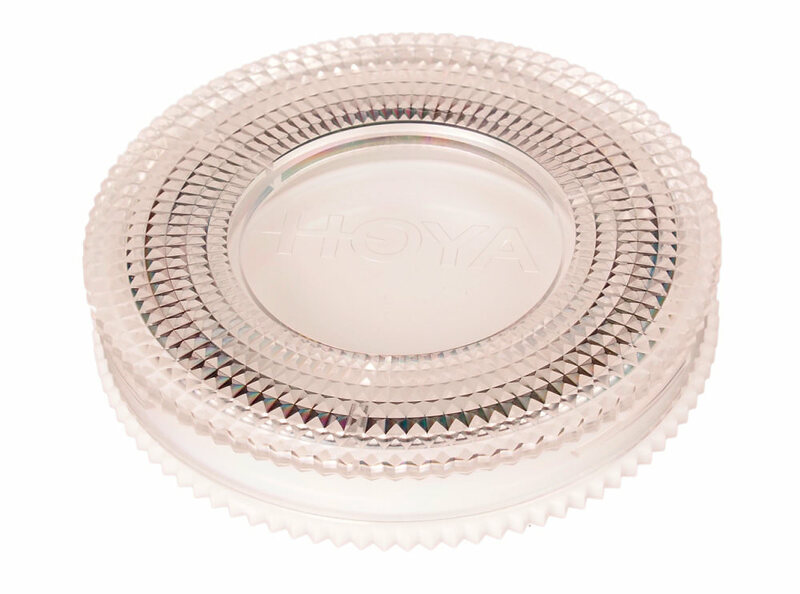 The HOYA HD series of filters offers chemically enhanced optical glass that is said to be 4x stronger than normal filter glass, using ultra clear high transparency optical glass, with an 8-layer anti-reflective multi-coating, that is water and oil repellent, as well as scratch and stain resistant. The frame is wide-angle lens compatible thanks to an ultra-thin frame, and the glass is mounted with high-pressure press technology for a wide opening - something which cheaper filters can cause problems with. We used the HOYA HD Protector filter in a number of situations, and found the filter easy to put on and take off the lens, although the smooth frame makes it more slippery compared to another protection filter such as the Hoya PRO1 Digital Protector which has an excellent textured grip. When comparing the filter to another generic filter, you can see the effect of the water and oil repellant coating, as the water droplets bubble up (on the left), and will roll off the front of the filter, compared to the generic filter on the right, where the water sticks more easily to the front. We also found the HOYA HD filter was much more resistant to finger prints than other filters tried. Protection filters not only protect the front of the lens from dirt, dust and fingerprints, but the HOYA HD has been designed to be 4x stronger than standard glass, meaning it is less likely to break compared to other filters. Beware of "Colour Runs" and the amount of dust that could get on and into your camera and lens, and while a filter will protect the front of the lens, we'd probably suggest using a waterproof compact camera at one of these events instead of a DSLR / Mirrorless / Compact camera. All of the filters on test let you fit a lens cap onto them. When cleaning filters, we used a clean lens cloth, and a Lens Pen FilterKlear, which has a flat cleaning tip designed to clean flat filter glass, compared to the standard lens pen which is concave to clean the convex surface of a lens. When shooting in normal situations, with no bright light source in the frame, it was difficult to tell any difference between a photo taken with a filter or without. However, when there was a bright light source in the frame, such as the sun, or street lights, it was possible to see lens flare from the lens, plus additional lens flare when using a protective filter. The amount of additional lens flare from the filter, depended on the filter being used, with the HOYA HD showing very limited additional flare (difficult to spot), whereas the generic filter showed a very noticeable increase in flare. The Kenko MC Protector performed well, with just a little bit of additional flare, and the HOYA Pro1 Protector filter showed additional flare. 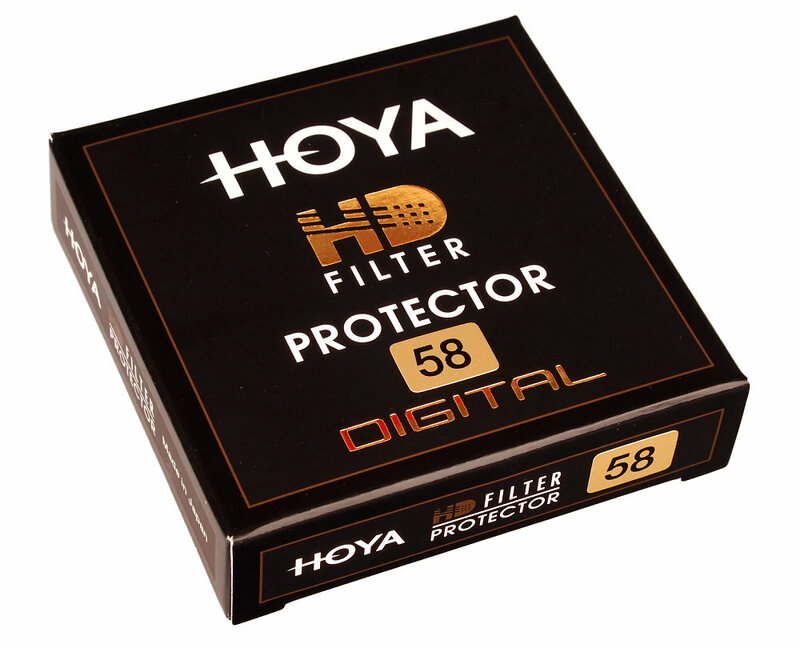 The HOYA HD Protector is available for £35 (58mm), The HOYA PRO1 Digital version is available for £27 (58mm), and the Kenko Smart Filter MC Protector (Slim) is available for £16 (58mm). In comparison, the generic UV filter from ebay cost around £4. The protection filter is a bit like insurance, you don't necessarily need it, but if you do drop something, you'll be glad you had it. When buying a protective filter, you need to make sure there is no degradation of image quality. The HOYA HD protector performed the best, with the smallest amount of flare out of the 5 filters we tested. The coating also makes it easy to clean, and is a good choice to protect a high-quality lens. If you have a budget lens, then it's possible the cost of the filter may not be worth the investment. However, if you have an expensive lens, then the relatively low cost of a protective filter is a worthwhile investment, and we were particularly impressed by the HOYA HD Protector. The HOYA HD Protector performed well maintaining high image quality, whilst also being easy to clean.